« I am humbled. . . It is a suitable night for lost souls. From this salon of incoherent arts. Wandering in from the dirty rain. The Prince of Wales, who arrived late. Finding ourselves in the dark abandon. Fixed in these two rooms. 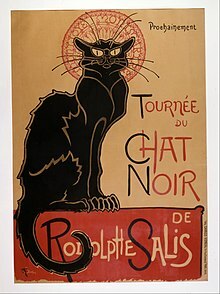 The cabaret songs and the ghost of Rodolphe Salis. To our home, our tribe.